We had just come up from the north end of the Flaming Gorge Reservoir in Utah, and stopped at the Visitors Center in Rock Springs, Wyoming. 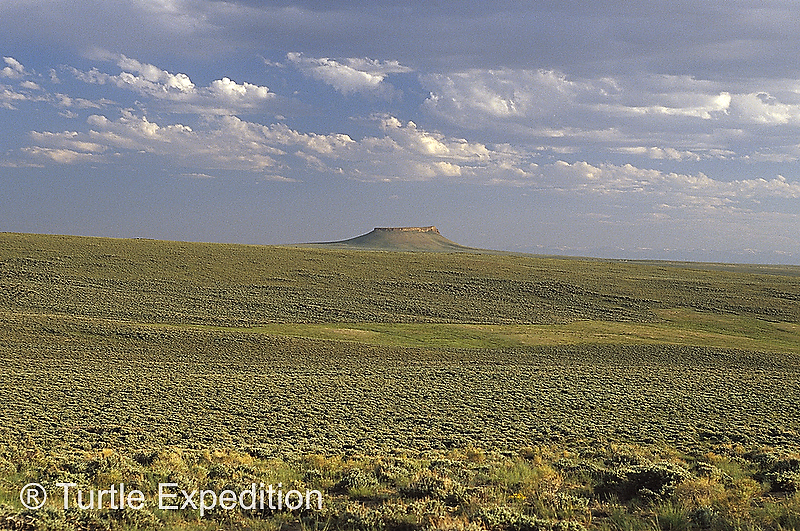 Surrounding Sweetwater County is home to 10,500 square miles of pure, high desert adventure, so it sounded like an easy place to get lost or find nowhere. There was a notice on the bulletin board about the Wild Horse Scenic Loop, and our imagination was instantly keyed. Pilot Butte had been a major navigation landmark during early cross-country travel by any means, including airplanes. Thundering hooves pounding across the prairie. Untamed manes flying in the wind. Wild Horses have always invoked romantic images of the wide-open frontier. They are the ultimate symbol of freedom. Who of us has not read one of Walter Farley’s Black Stallion books? As we drove along, we watched for piles of horse poop. A dominant stallion stud will mark his territory repeatedly in this way, clearly advising intruders “this is my home and—my bathroom”. 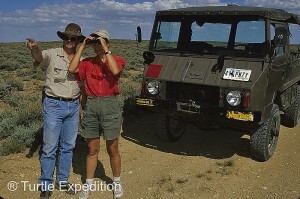 While horses are the focus here, we kept an eye out for antelope, desert elk, deer, and coyotes. Hawks, eagles and sage grouse can frequently be spotted. 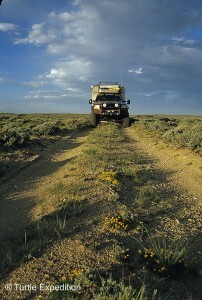 Side roads into the 392,000 acre Rock Springs District are just rugged two-tracks which often require four-wheel drive. It was like a road sign. We turned left at the huge pile of horseshit. No nicer way to say it. The dirt two-trackwound through pungent sage and wild flowers. Dust billowed out behind The Turtle V. The occasional rabbit dashed in front of us. Our view encompassed an area larger than Massachusetts. The tune of Home, Home on the Range came to mind. We pulled out the barbecue, set up the chairs, poured a glass of wine, while we waited for what would be a spectacular sunset. Stopping on a low bluff where an existing fire ring showed we were not the first, there was not a single sign of civilization as far as the eye could see. We pulled out the barbecue, set up the chairs, poured a glass of wine, while we waited for what would be a spectacular sunset. A few antelope grazed nearby, and a small band of horses huddled for the night on the next ridge. The silence was palpable. Horses first roamed the grasslands of North America during the Pleistocene Epoch about 10,000 years ago. Then, for unknown reasons, they vanished until the 1500’s, when Hernando Cortez and his Spanish Conquistadors reintroduced them. Today’s herds are descendents of those Spanish steeds, mixed with ranch horses that were turned out or escaped. The potpourri of breeds include Through Bred, Morgan, Standard Breed, Arabian, Bashkir Curly, Pinto, Appaloosa, Quarter, and several work horse breeds. There are even some Clydesdales mixed in. 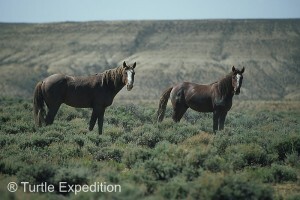 The result is the classic wild horse, big, strong, beautiful confirmation, and well—wild looking. A small herd had moved closer in the morning, perhaps out of curiosity. We sipped hot coffee and the whole world was ours. Thanks to private landowners who do not fence their property, horses and other wildlife are allowed to wander freely as necessary for food, water and shelter from winter storms. Richard Nobles uses his well-maintained 1975 Pinzgauer to guide people into the Rock Springs District backcountry. A stallion, mare and her colt crossed nervously in front of us. The beauty and freedom of the Wild West was very much still alive. Having a guide who knows where he’s going greatly increases your chances of spotting larger herds. 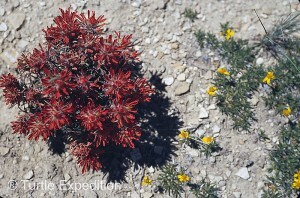 The dirt two-track wound through pungent sage and wild flowers. 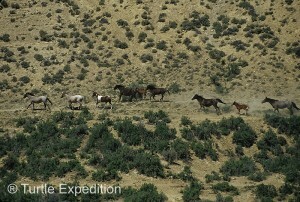 Figuring that finding a band of horses in the 392,000 acre Rock Springs District area might take days, we returned to Rock Springs and contacted Richard Nobles, owner of www.GreenRiverWildHorseTours.com. Rich happens to have the only license to guide people into the Rock Springs District backcountry. 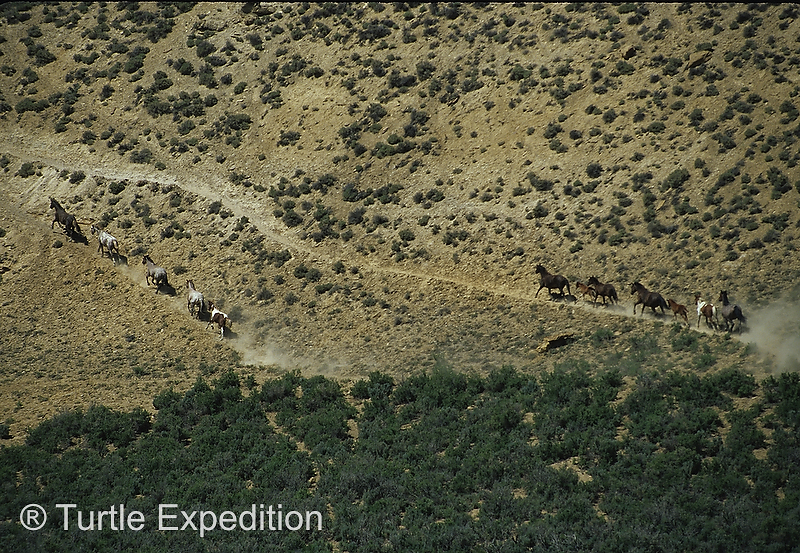 While there is a fair chance of seeing a few horses on the main Loop, the larger herds are more often located in canyons and draws where there is water and better grass. Side roads to these locations are just rugged two-tracks which often require four-wheel drive, and there are dozens of possibilities, so having a guide who knows where he’s going greatly increases your chances of spotting larger herds. 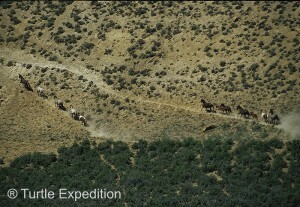 The White Mountain Horse Herd is managed by the BLM, and the population can increase as much as 40% in a good year. 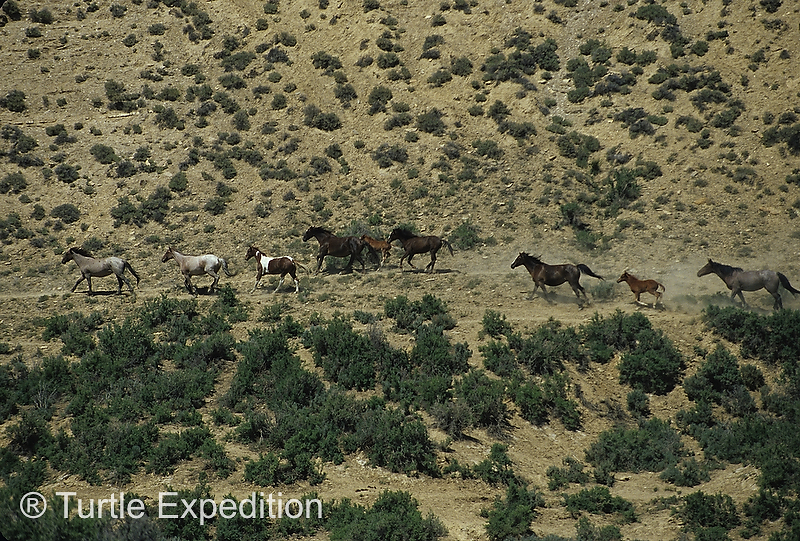 Wild horses have no natural predators other than an occasional mountain lion. The Wyoming population of wild horses is approximately 6,000, 2,500 of which roam the Rock Springs District traversed by the Pilot Butte Wild Horse Scenic Loop. The BLM conducts a periodic census and removes animals that could result in over grazing and death from starvation, dehydration and the elements. Stealthily walking up to a ridge, we discovered over 100 gorgeous animals in ten to twelve bands! A dominant stallion stud will mark his territory repeatedly, clearly advising intruders “this is my home,— and my bathroom”. Following Rich’s 1975 Pinzgauer, we headed across the top of White Mountain. 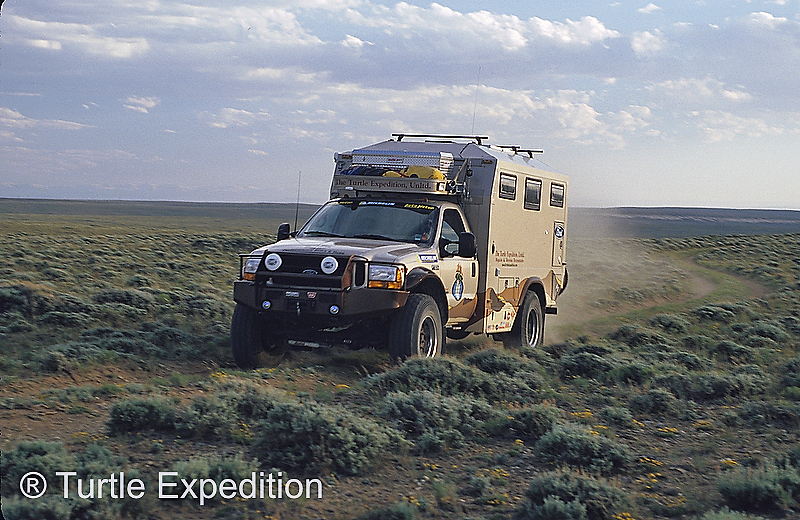 After several dead-ends, Rich maneuvered his 4X4 troop carrier across some deep arroyos we weren’t even sure our own four-wheel drive Tortuga Expedition Camper could manage gracefully. We parked and stealthily walked up to a ridge. There they were; over 100 gorgeous animals in ten to twelve bands! The moment the lead stallion spotted us the alert was sounded. The head mare leads, and the dominant male protects the rear. As the different pods galloped up an embankment and across the sagebrush, we stood with mouths open and shutters clicking. Two big stallions stopped briefly to reestablish who was boss. Even Rich was surprised at how many we had found in one place. It was an exciting experience, and Rich’s knowledge of the area and the herd was invaluable. Back on the gravel road, we continued to Hwy 191, the northern start of the Loop Tour. 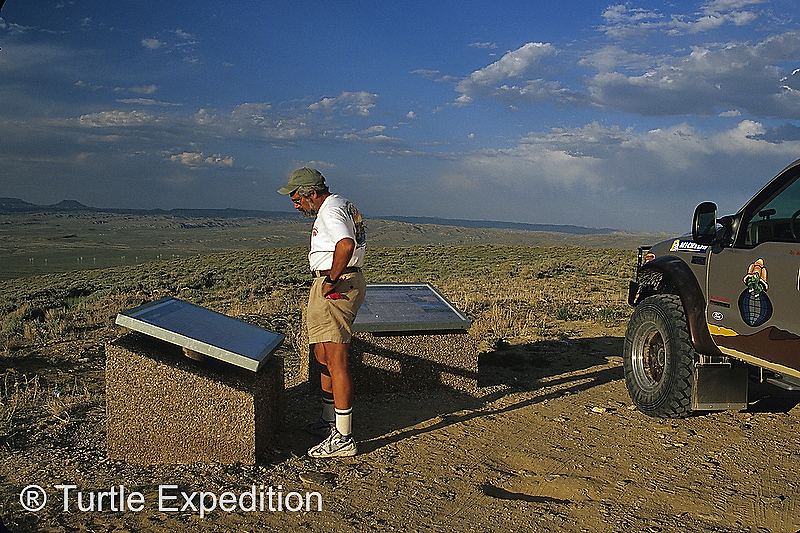 There are several scenic overlooks where informative plaques describe some of the area’s prominent features such as Pilot Butte, Boar’s Tusk, Killpecker Sand Dunes, and the Uinta, Wind River, and Wyoming mountain ranges. The Uinta Mountains are unique because it is the only range in America trending east to west. The Wind River Range contains the oldest rocks in North America, pushed up from a fault 17 miles below the surface some 3.9 billion years ago. 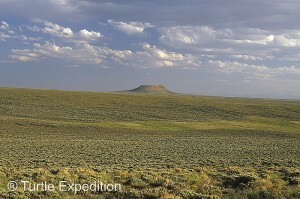 The Wyoming Range is the highest in the state. 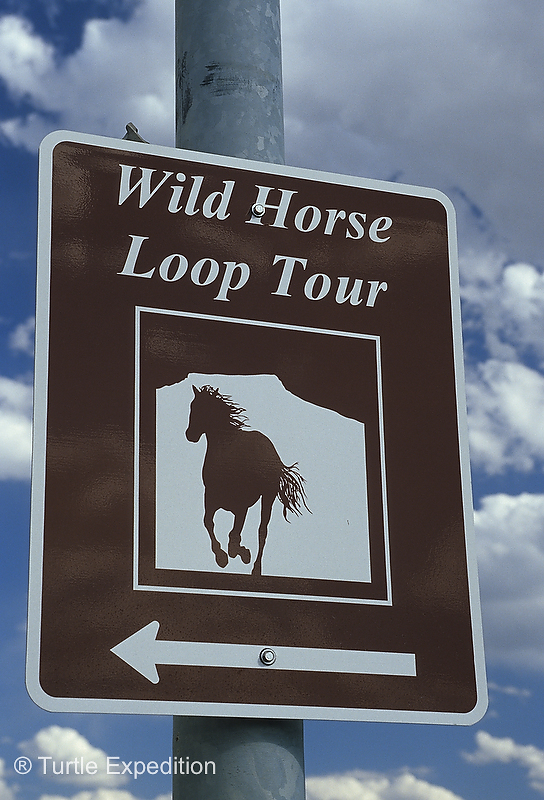 The Pilot Butte Wild Horse Scenic Loop Tour starts in either Rock Springs or Green River Wyoming, just off I-80. 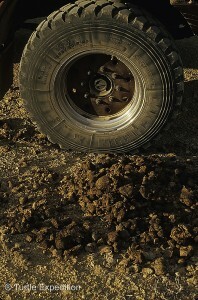 It totals about 50 miles, with roughly 24 miles of gravel, and takes about 2.5 hours to drive. 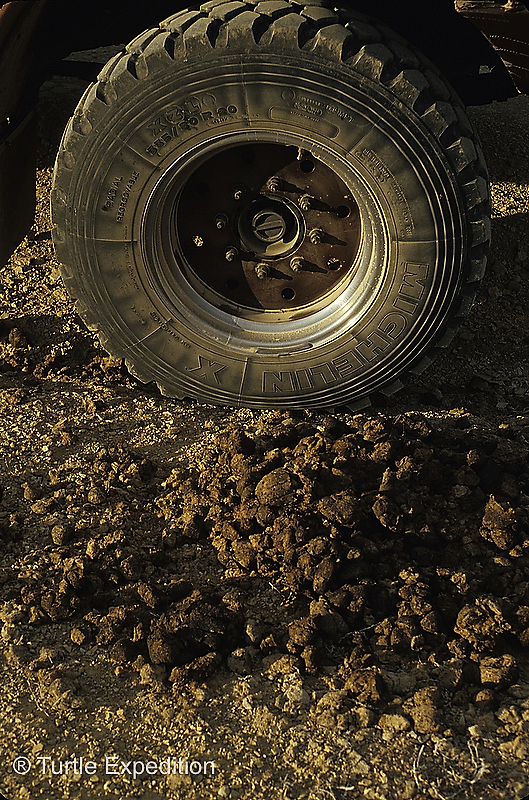 While the graded loop can be traveled in any type of vehicle, the gravel section is maintained only from May to October, and high-clearance vehicles are recommended. That said, we found the road to be in excellent condition, quite passable for pick-ups, large RVs or even trailers, but check before you head out. There are no services on the route, and cell phone reception is sketchy at best. 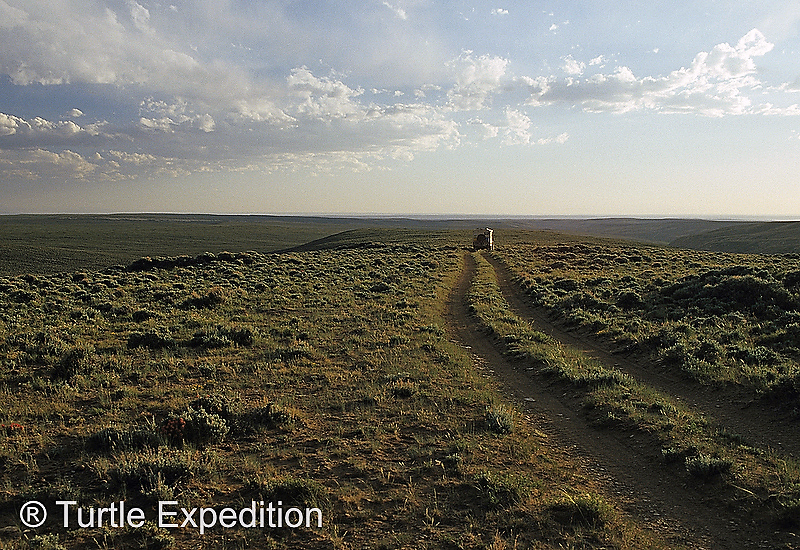 We imagined ourselves driving across the Wild West in a covered wagon. Several scenic overlooks with informative plaques describe some of the area’s prominent features such as Pilot Butte. Dust billowed out behind The Turtle V. The occasional rabbit dashed in front of us. You can blitz the area in two and a half hours. Three days was not enough in this magical place. As you read this, plans are being developed to construct a giant wind farm, which will kill the silence, totally disrupt the herds of horses, and likely result in the closure of the main access road. On our final morning we spend a few hours just soaking in the stillness. 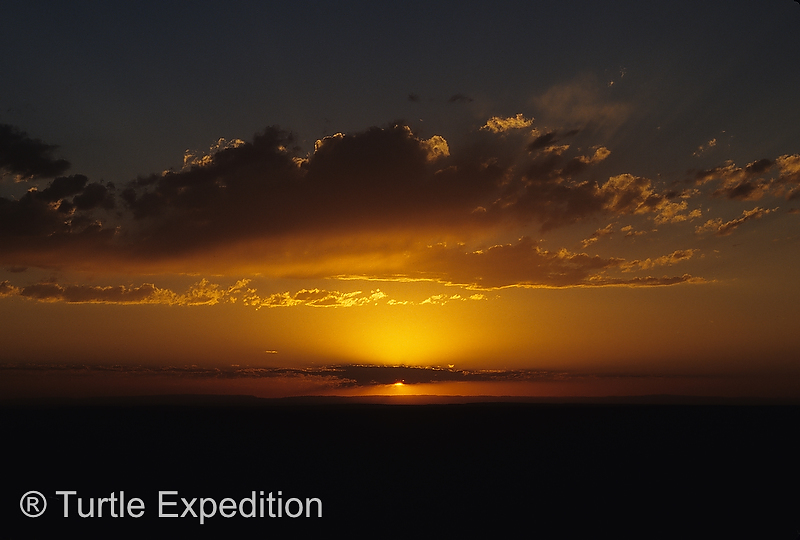 As the cliffs of Pilot Butte reached for the first rays of sun, we could well understand its name. 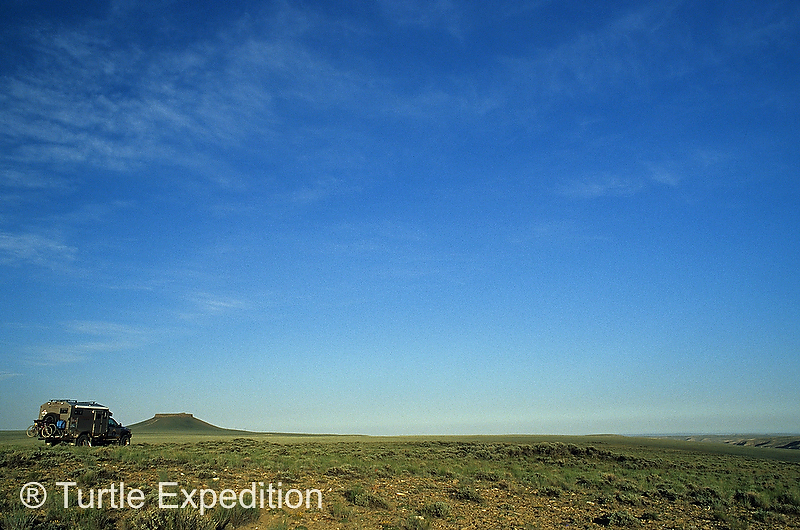 It had been a major navigation landmark during early cross-country travel by any means, including airplanes. We broke camp and reluctantly returned to the main gravel route. A stallion, mare and her colt crossed nervously in front of us. At least for now, the beauty and freedom of the Wild West was very much still alive. 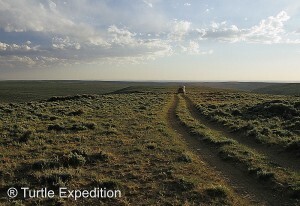 Stopping on a low bluff to camp for the night, there was not a single sign of civilization as far as the eye could see.